Economy is going strong, lots of projects are lined up and professionals are needed in order to make things happen. While many companies have lots of qualified employees, often enough specialists are required in order to drive the project and support with their special expertise. So far so good. This list is not only an enumeration of the most important boxes that need to be ticked, it is a priority list at the same time – at least from our point of view. Interesting enough we experience different approaches from the clients’ side more and more. Having gone through a lot of selection processes for becoming a preferred supplier we know that clients are mainly looking for partners that are able to deliver high quality profiles for a reasonable price in time. In order to make the pricing part a transparent and fair one, rate sheets are often set up and used. These are assessed from independent parties regularly so everyone can be sure that the rates applied are fair and in line with the current market. What a pity that not even this element can take away the obvious number one selection criteria – price! Why are we upset about this? 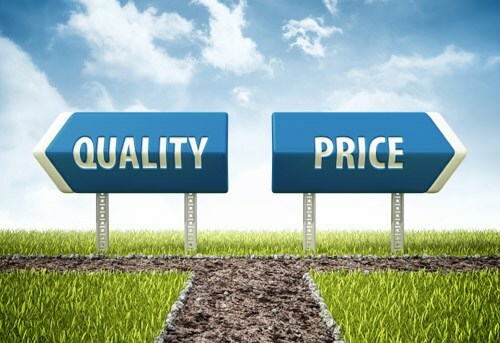 The reason is, that profiles that are a great fit to the required role often are not even looked at anymore because there is another profile that is offered at a cheaper price! Cheap doesn’t necessarily mean that there is a better fit, right? If there is a significant difference in price between a number of offered profiles you would rather expect that the receiving party tries to find out what the difference is between the candidates. Unfortunately this is not the case all the time. Interesting enough not many hiring managers seem to think about the fact that someone at a lower level with less experience might need longer to finish the project successfully. So price as the first selection criteria might even lead to a higher total spend in the end! And please don’t get me wrong – I am not saying that every candidate offered at a lower rate is a less qualified resource. There are many ways to get to a suitable consulting rate. But what we experience more and more is that qualified candidate profiles are not even looked at anymore because of a few euros more in rate per hour.